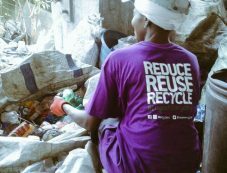 The King Baudouin Foundation awarded its 2019 African Development Prize to Wecyclers, a waste management start-up based in Lagos, Nigeria, the largest and fastest growing city on the African continent. Wecyclers offers convenient recycling services, giving households in low-income communities a chance to generate value from their waste. The 200,000 euros Prize will enable Wecyclers to scale up its efforts, increase its footprint, and promote its model to international audiences.